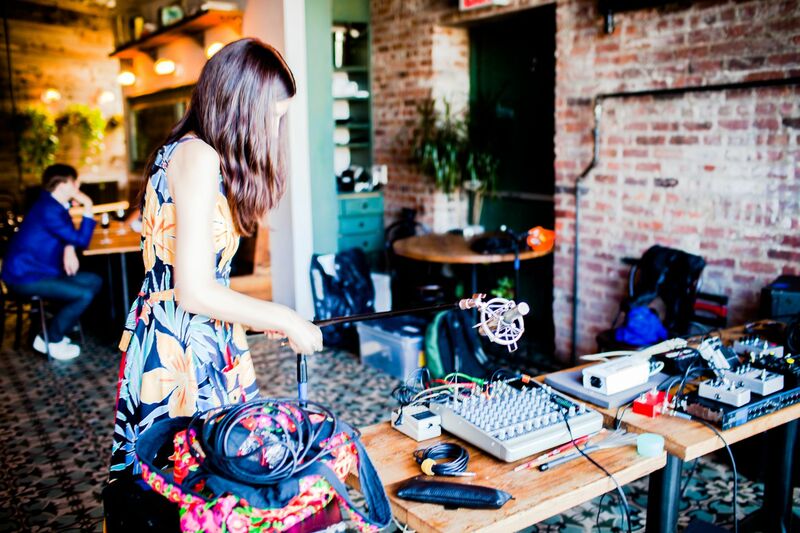 At the end of June, Oren and I gave a short performance in Brooklyn at a small private event for Issue Project Room. On this occasion we were filmed and interviewed by Ivan Weiss, a lovely documentarian from North Carolina whom Oren had met in 2014 when Nazoranai performed at the Big Ears festival in Knoxville. This led to a terrific short documentary on the group, and now it seems to other further investigations into Oren’s work. Today Chapter 2 in Ivan’s ongoing series for Big Bent Ears focuses on our duo and the work of Tyondai Braxton and his collaborators. It’s much more than this though… this is not sterile journalism, Ivan paints a picture, tells stories that are both intriguing and charming. Included are interview quotes, videos and pics woven beautifully into his personal narrative. I’m promoting this chapter here due to my involvement, but i highly recommend you flip back through the other chapters, they’re really pretty wonderful.